One of the best ways to make extra money is to side hustle. If you need money fast, there are flexible side hustle options you can try instead of racking up credit card debt or taking out a loan. Want to save more for a big expense or a nice vacation? Easy side hustles can help you round up the money to meet your goal in no time. If you've been a longtime reader on this blog, you know I've shared dozens of stories on how I have side hustled over the years. Sometimes I forget how easy it is to side hustle! I'll get caught up in work or meet up with friends and forget I am missing out on so many opportunities where I could be side hustling each week. I love making easy money when it's convenient for me, and there's no reason why most of us can't work a flexible side hustle into our schedules! 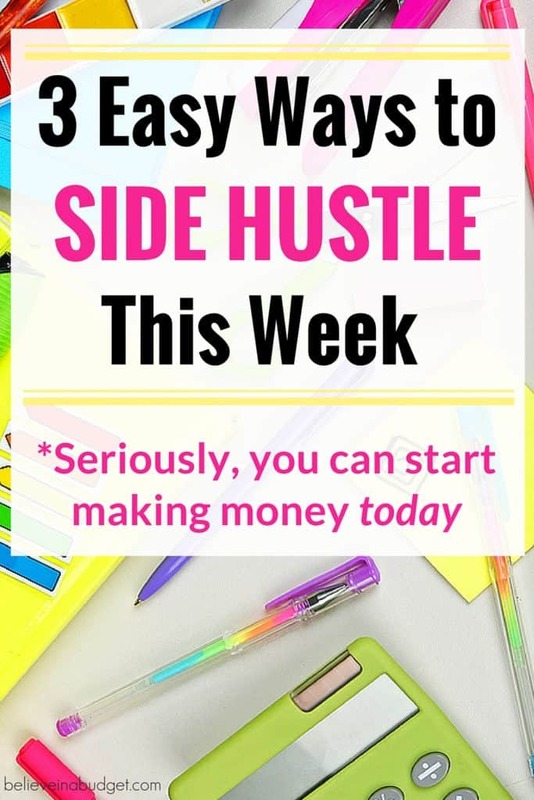 Today I thought I would share a refresher on some of the best easy side hustles that you can do daily or even once a week to bring in extra cash. These are just a few easy ways I'm upping my side hustle game. Wanna join me? There are a few different apps I use on my cell phone to earn money when I'm running errands or have returned from shopping. 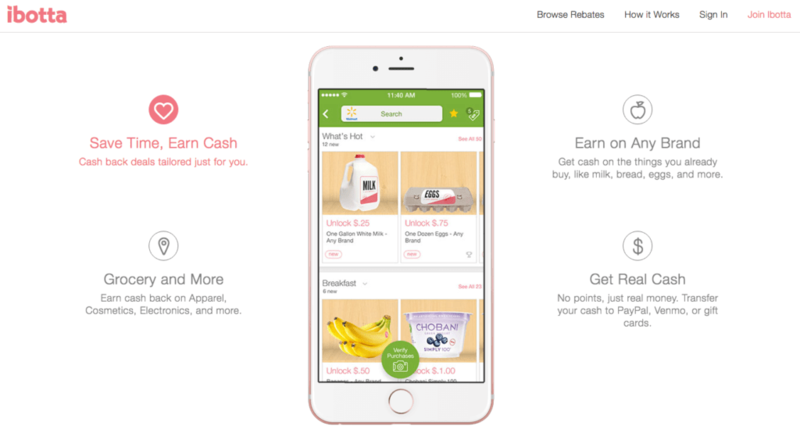 If you like the idea of using coupons, but never do (I'm one of those people), the Ibotta app is the best money saving app when buying groceries, going to the drugstore, going out to eat, and more. The rebates can range anywhere from $0.25 to $5.00, depending on what you have purchased. 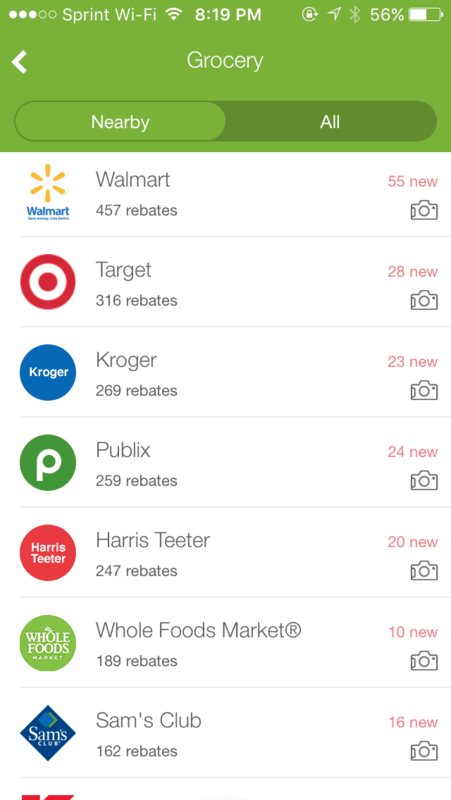 The best part of this app is that you can get rebates on generic items. For example, let's say there is a rebate on milk. It doesn't matter what brand of milk you have purchased – you will still earn a rebate! Another great perk is that if you redeemed a coupon for milk at the store, you can still get the rebate with Ibotta. That's some amazing double or triple coupon skills for some of the elite couponers out there! When you finish shopping, take out your receipt. Then log-in to Ibotta. Select which store you just shopped at. Next scroll through the rebates to see what you qualify for. If you want to save time, you do have the option to link some of your reward cards with your Ibotta account. This way, the rebates come up automatically! Here's an example of selecting a generic brand of pretzels. 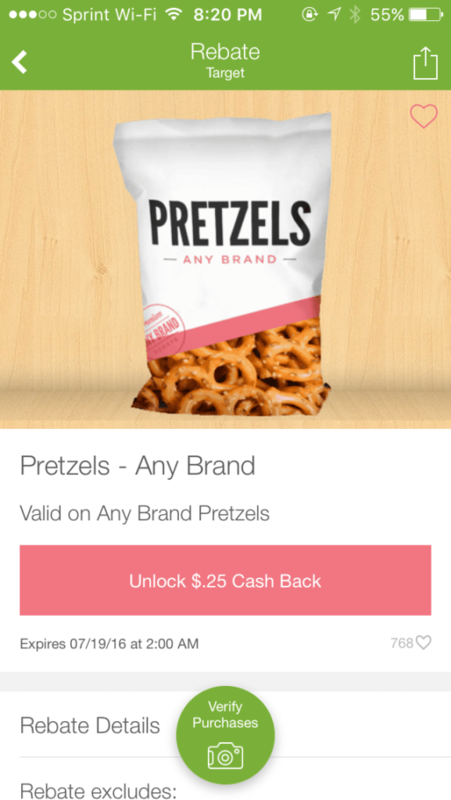 Again, it doesn't matter what kind of pretzels you have purchased as every brand will qualify for a rebate! Select unlock. 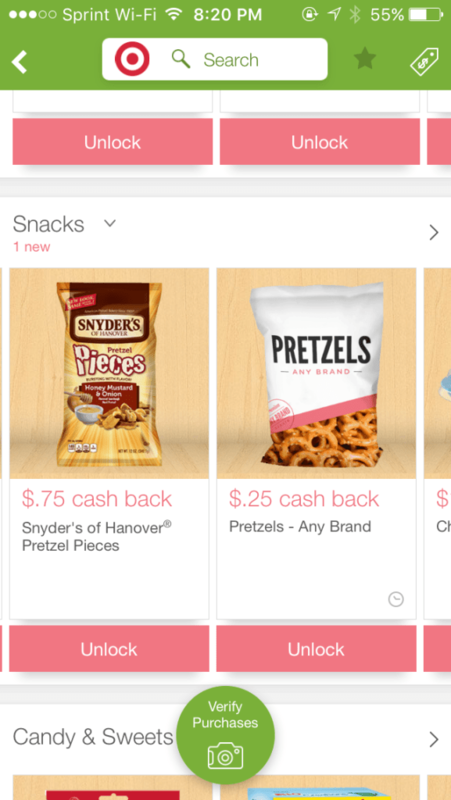 Then you can scan your receipt with your phone and you scan the barcode on the pretzels. Once you are done verifying your purchase, it can take anywhere from a few seconds to a few hours for your purchase to be verified. Then, the cash is loaded into your Ibotta account and can be withdrawn to your PayPal account. If you want to get started with Ibotta, click here to sign up so you can receive an extra $10 in your PayPal account. Mystery shopping is still one of the best ways to make money. I get so, so excited writing about this! I still think it's crazy that so many people don't take advantage of mystery shopping more. Some people think mystery shopping is a scam, and there definitely are some bad companies out there. Luckily, I've been able to weed out the bad ones and only work with companies I really like. I have made over a few thousand dollars from mystery shopping. Secret Shopper® – This is one of the top mystery shopping companies that has an A+ rating with the BBB and has been around for 25+ years. 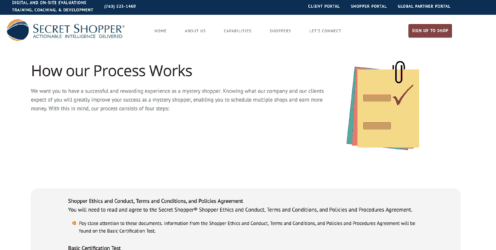 You don't really need any experience to become a mystery shopper but this company will require you to take a basic certification test before getting on board. The purpose of the course is to ensure that you are well versed in the basic requirements of mystery shopping and to acquaint you with the policies and procedures of Secret Shopper®. Learn more and sign up here. 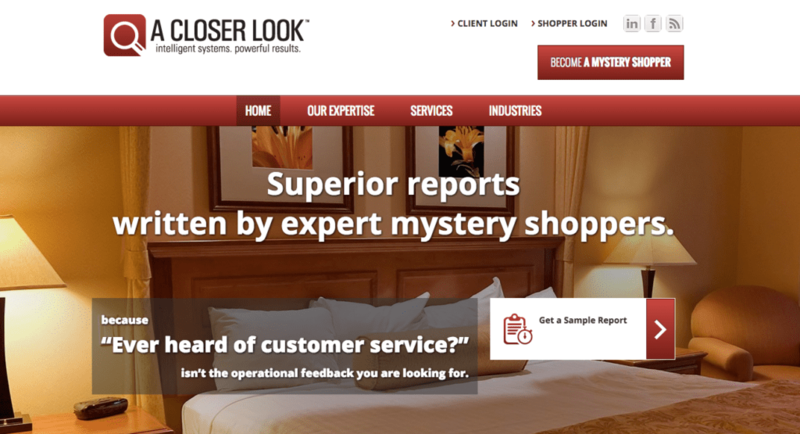 A Closer Look is one of my favorite companies to score high-end mystery shops with restaurants and valet parking, bars and hotels. Yes – hotels! This company generally only reimburses you, but I have seen cash bonuses offered when a mystery shop is still available but approaching the deadline. Special note – if you are a freelancer, this company is hiring for editors and schedulers. You can learn more here. 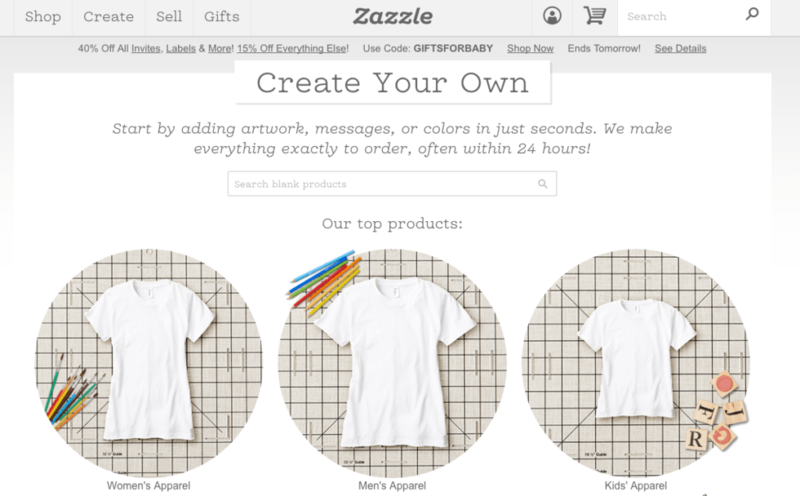 Zazzle lets you create and design all your own products, and then sell them on your website or Zazzle’s website! The best part about this website is that everything is online. You don't have to have real inventory or worry about buying supplies. Once you have created your account, click on create. 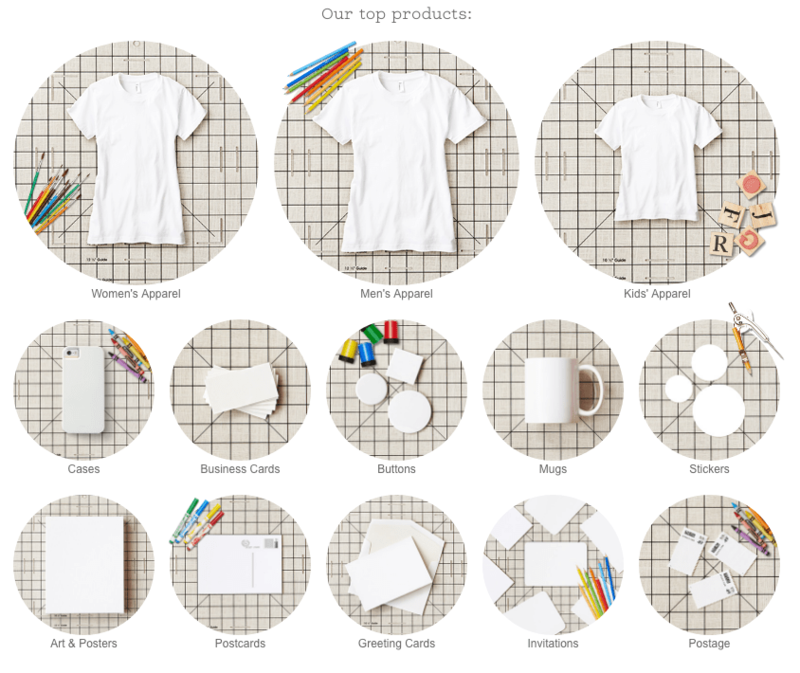 Here you will be shown a ton of different products that you can design and create. Select your product. When you select your product, you can further define the product. For example, let's say you select Women's Apparel. 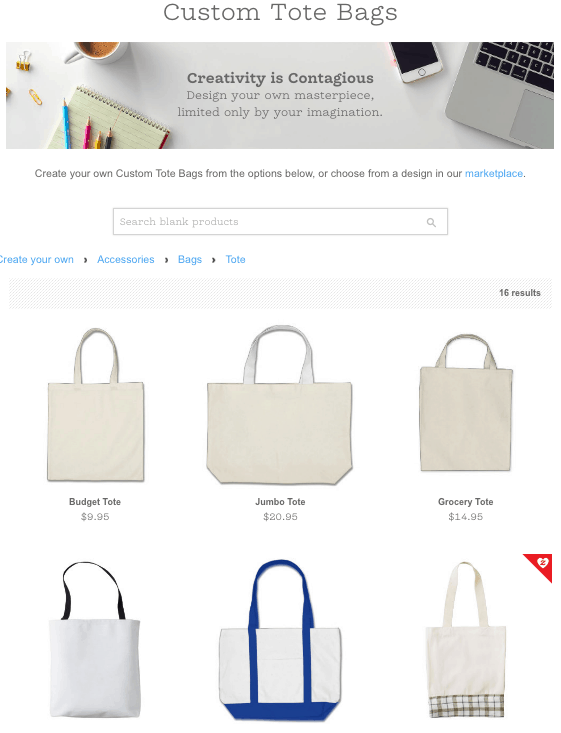 From there you can select tote bags. Once you have selected tote bags, you can pick the exact size tote bag you would like to use. 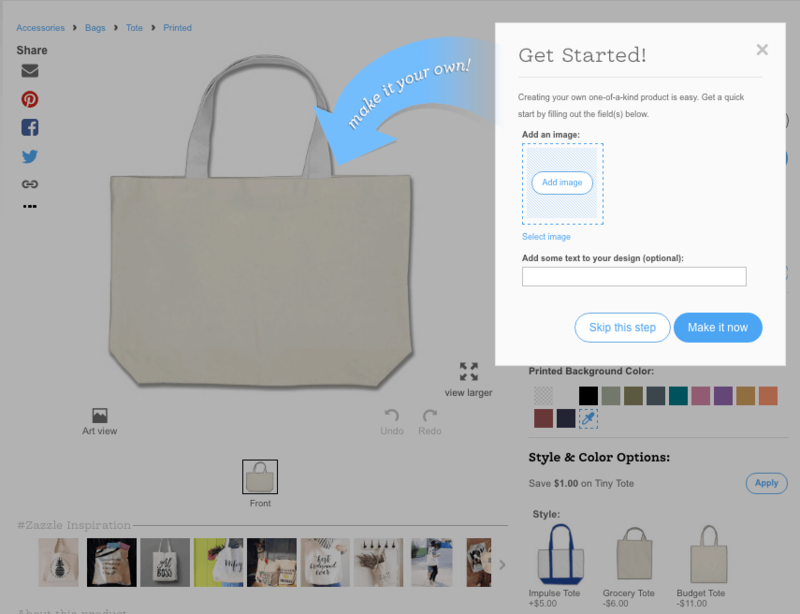 Once you select the tote bag you want, now you can design it! After you design your product, you can sell it! You just have to enter all the product's information. Here is the last part – and the most important. 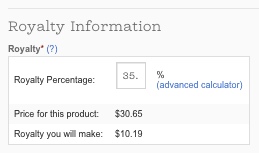 Here is where you insert the royalty fee percentage. This is how you make money! Add your royalty price to the product – that is your profit. 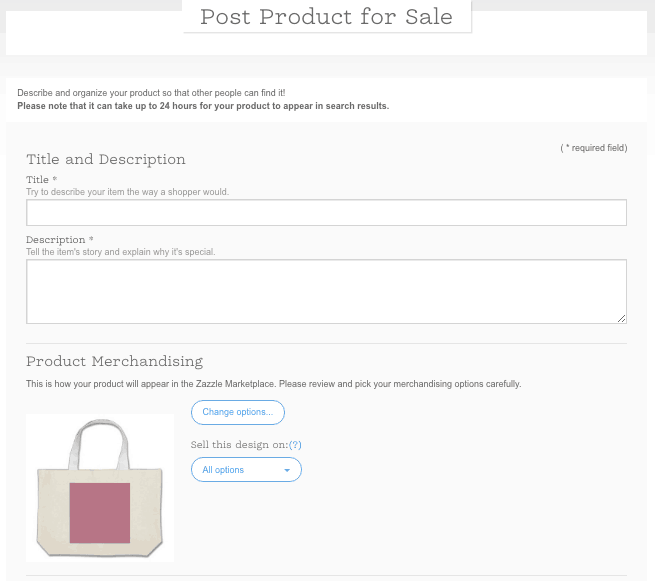 Once your product has launched, viewers will be able to find it when doing a search, so make sure you write a great description of your product. Ebates is my absolute favorite company to use when I’m shopping online because it's basically like receiving free money! After you make a purchase, you earn a percentage of the sale! They literally give you cash back on every purchase you make. The cash back ranges from 1% to 14%. The money is then deposited into your PayPal account or can be sent to you via check quarterly. Ebates often offers double cash back, allowing you to earn a lot more. I’ve made over $700 from shopping online and earning cash back making it one of my top easy side hustle ideas. Join Ebates here! There are a handful of companies that I love to use and earn cash back into my PayPal account, as well as reward points that I can use at places like Target, Walmart and Macy's. Survey sites may not pay a ton per survey, but the money really adds up when you set aside a few minutes per day to consistently take surveys. I'd also recommend signing up for multiple sites in order to truly make more bang for your buck. Some of my favorite survey sites include Pinecone Research, Harris Poll, and Opinion Outpost. Be sure to avoid some of the scam survey sites out there. If a company asks you to pay money to sign up or won't compensate you for taking a survey, that should be a huge red flag. Some sites will offer to enter you into a ‘sweepstakes' where you could win money or prizes after taking surveys, but you want to work with the companies that will pay out in cash or retail gift cards. Blogging is the ultimate side hustle in my opinion. 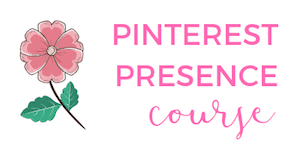 It a lot of hard work and some time to get things off the ground but blogging can be a great way to make some passive income on the side or even full time. I went from making $40/month to over $4,000/month in the span of six months with blogging. That’s crazy! 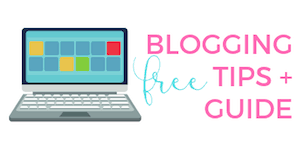 Learn how 25 bloggers made their first dollar here. Plus, they pay out weekly so this is perfect if you need cash ASAP. To get started, you need to be 21 years old, have a 4-door car (age requirements often apply), along with adequate auto insurance. Even if you have a spare bedroom, you can still make a killing renting out space in your home via Airbnb. Airbnb can also be a pretty passive side hustle too. You'll need to do some initial work to fix up your home or the room you wish to rent out and this may require a small investment. Once you create your listing on Airbnb, you can allow people to book your space automatically and even charge guests a small cleaning fee then hire a cleaner to come in and turn the space around for the next guest. Some Airbnb hosts actually travel often and set up a lock box or other systems to allow guests to check in and check out on their own. You can learn more about how to use Airbnb here. Should you get a seasonal job? Once you start earning some side hustle income, start saving even if it’s only a few dollars a week. Think back to why you decided you wanted to start side hustling in the first place. Qapital is a totally free app that lets you decide how much money you want to save every time you make a purchase. You can pick from $1 all the way up to $5. Some weeks it might be $5 and other times it might be $20. You don’t have to worry about overdraft and can contribute less or more if you need to. The great thing about Digit is that it helps you save automatically and most of the time you don't even miss the money or realize that it's gone. You can learn more about Digit here. The only downside to Digit is they charge $2.99 per month to use their service. I don’t mind the fee though since it’s helping me save money every week. If you really struggle with being committed to saving, Digit could be worth the small fee. If the fee stressed you out, use Qapital! 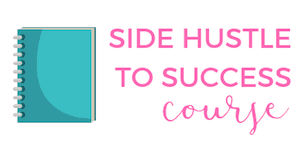 If you want to learn more about how to side hustle without getting a part time job, make sure you sign up for Side Hustle to Success. You'll learn about tons of different ideas about how to make extra income, whether it's sitting on your couch to dining out. If you are really interested in mystery shopping or taking surveys, as well as side hustles such as pet sitting, Side Hustle to Success will help you start making money from day one. There are over 40+ direct links to sign up with different companies and start side hustling. Do you like to side hustle? What do you to make extra money? Thanks so much for posting about us at A Closer Look. We have shops throughout the U.S. and Canada, and we are always looking for shoppers, editors and schedulers. Anyone can sign up for free at http://www.a-closer-look.com. Just click the link to become a shopper, and you have 48 hours to finish the three-part application once you begin. You can email us at [email protected] after you have submitted your application, and we’ll expedite it for you. Anyone interested in editing or scheduling can also email us at [email protected] for more information. Thanks, and happy shopping! I’ve used Ibotta a little bit, but I don’t really like their search feature. If you shop at Target they have a lot of items on there so it’s a good supplement to Cartwheel and Target coupons. Cartwheel drives me nuts! I know it has the savings and I like using it with the red card, but I spend a lot of time on that app haha. I piece together my income online most of the time, and share with other moms how to do it. So I love finding new ways to earn cash that I can try out.